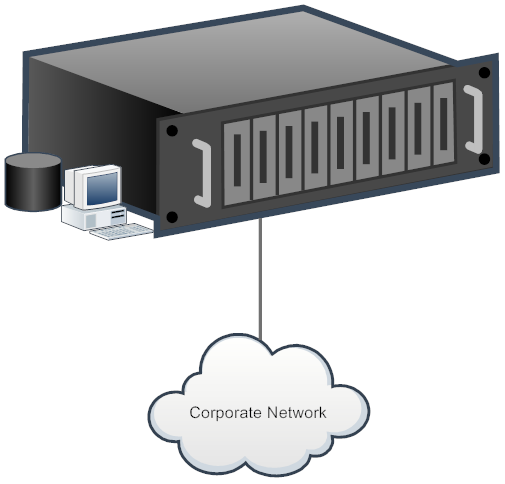 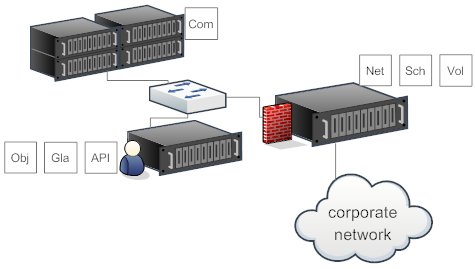 All nova-component in one host , and the instance network is same as corporate network. This Topology has a problem , once nova-network dead , All trafic will lost. 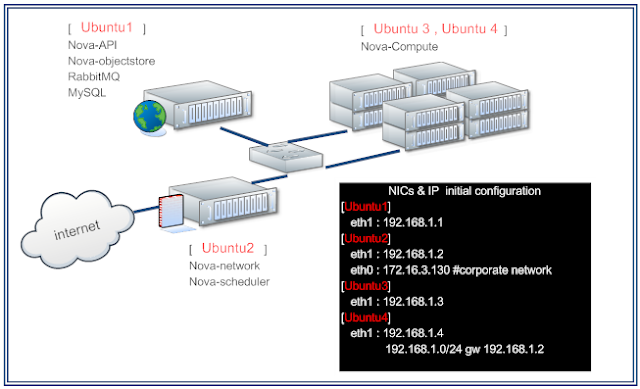 But it's interesting , I guess instance will be fine while nova-network restart. 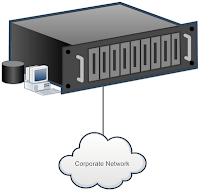 If we add a way to use router instead of nova-network host as gateway, it will be better . 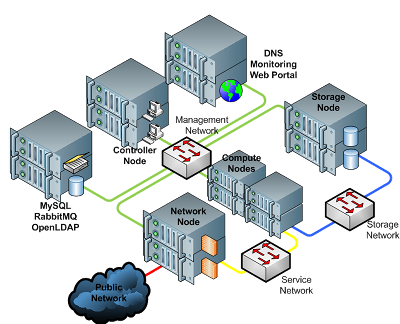 But instance can not get metadata from api-server which is another problem.